For a recent potluck for all the Sacramento food bloggers I decided to throw together this intensely decadent and very easy chocolate torte. The original recipe is based around David Lebovitz’s Chocolate Idiot Cake, however, this one bakes up much more quickly, uses less butter, and has a bit of burn to it. The chipotle pepper and cinnamon give a nice bit of spice and a slow, sweet tingle that lingers after each bite. If you can’t get chipotle chili powder, ancho chili powder will work fine as well! As the ingredients in this are few, and thus their flavors are of the utmost importance I highly suggest you splurge a bit for a high quality chocolate; Guittard and Scharffen Berger are excellent choices. 1 Preheat oven and prepare springform pan: Preheat the oven to 350°F. 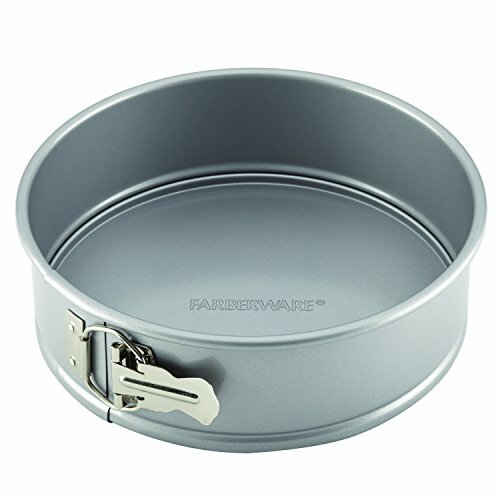 Line the bottom of a 9-inch springform pan with a circle of parchment paper. Grease the sides and the parchment with butter or non-stick cooking spray (I love Pam for Baking cooking spray, myself). 2 Melt chocolate and butter: Melt the chocolate and butter together over a double boiler or in the microwave, stirring occasionally until smooth. 3 Make batter: Whisk together the eggs and the sugar in a large bowl, and then slowly, a bit at a time, whisk in the melted chocolate. Add the salt, vanilla extract, and spices and taste, adjusting the spices if needed. 4 Bake: Pour into the springform pan and bake at 350°F for 25-35 minutes or until a tester comes out clean. 5 Cool: Let the cake cool completely on a wire rack. Dust with powdered sugar and serve. Hello! All photos and content are copyright protected. Please do not use our photos without prior written permission. If you wish to republish this recipe, please rewrite the recipe in your own unique words and link back to Chipotle Flourless Chocolate Cake on Simply Recipes. Thank you! Wow! Not only the best dessert I have ever made, quite possibly the best I have ever eaten! Love love loved this cake! I am glad to have found a cake recipe that combines one of my classic combos: hot chilies and cinnamon in dark chocolate. I have used it in hot cocoa, truffles, and brownies. I will be trying this and reporting on it later. I normally use the 3-ingredient flourless chocolate torte recipe, but this one gives me an idea of the proportions of pepper and cinnamon to use. Thank you! I removed some of the chocolate, and replaced it with about an equal weight of peanut butter. The result was wonderful. I thought this had a too eggy taste and texture but after chilling it over night and it turned out perfect. My guests loved this cake. I would have preferred more of a kick and a less eggy texture. I was shooting for more of a creamy, fudgy, dense cake. It was super easy, baked double the time for some reason and used ingredients I have on hand. I will try to find a different recipe but will save this one for guests when I’m in a crunch since they all thought it was delicious. Thank you for the recipe and the site since you have so many fabulous recipes here! I made this cake a few days ago and it’s wonderful. I found that it took around 30 minutes to bake in my oven and I did use a springform pan. I cut down the amount of chipotle powder for my kids and served it with a homemade salted caramel sauce. I loved the crispy top layer and how the cake was dense and fudge-like without being heavy. I will be making this again for sure. PS – I ended up doing what you recommended. The cake easily came out of the pan both times. Thanks for the answer! Glad to know you’re still checking in four years later. Made the cake twice this weekend. It was devoured both times. The second time I notched up the chipotle powder to a full teaspoon and the cinnamon to 3/4 tsp. Gave it a bit more kick. Oh man, this was gourmet delicious and super quick and easy, might I add. The only weird thing was the thin crusty top, which was like that crispy layer in a macaron, it cracked when the cake rose, and then after I took it out of the oven, the cake deflated and cracked more. Still, it tasted amazing, not too sweet or rich either and the cinnamon/chipotle set it apart from your common chocolate cake. and gluten free too! I baked mine in a glass pie pan, and it took around 30 min. to fully cook (I think I’ve heard glass takes longer than metal pans to bake). I will make this again for sure. By the way, if you microwave chocolate, be sure to do it in small time intervals like 10-15 seconds and stir in between, otherwise once you burn the chocolate, the whole batch is ruined. Lovely recipe, thanks! About how many servings do you think this recipe makes? I want to make it for a birthday party, but I am not sure if I should double the recipe? I usually don’t leave comments, but OMG this cake is SO good! I decided to try it since my hubby can’t have any gluten and it was a big hit. The only change I made was to use half semi-sweet and half bittersweet chocolate since that is what I had at home. It turn out perfect…not too sweet. This recipe is good enough to serve on a special occasion. Thanks! Just made this recipe tonight and it turned out great. I made cupcakes instead of full cake. I really like the combination of chocolate, spice and sweetness. I don’t find it to be too sweet but I’m wondering also what less suger would do to the taste. So far daughter likes them; husband and son are asleep so I’ll find out tomorrow what they think. Thanks for the recipe! I just made the cake and it came out great. It took quite a bit longer in my oven (about 50 minutes). Next time I will try it with less sugar and more spice. Do you think it would bake the same with half the sugar? Thanks for the great recipe. I also cant wait to try it with some berries and whipped cream, as you suggested. I found the Guittard in chips, but not bars at the store. They only had Ghiardelli or Lindt in the bars. Which do you think would be better? Baking sprays can have a trace of flour/gluten in them. I find them easy to use, but for gluten free recipes I grease the pan with oil or butter and use cornstarch to dust it. Works very well. This cake was a hit at the birthday party that I brought it to. I did whisk the eggs and sugar until fluffy and liked the effect; give it a try. The recipe calls for the perfect amount of spice. Can the sauce from canned chipotle peppers be used as a substitute? I have the chinese 5 spice too, should I just use that? Looks delicious. I have made one similar to this but I can’t wait to try this recipe. Just an FYI – if using the Pam Baking spray as suggested, remember it is not gluten free! The baking brand does have wheat flour in it, however the original Pam spray is gluten free.